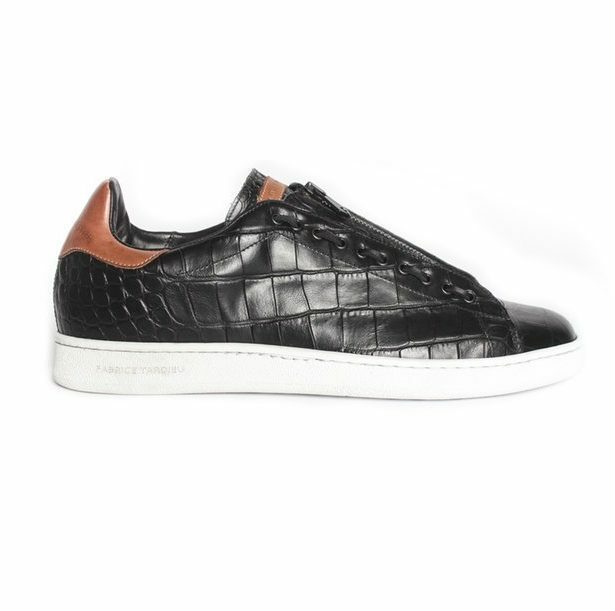 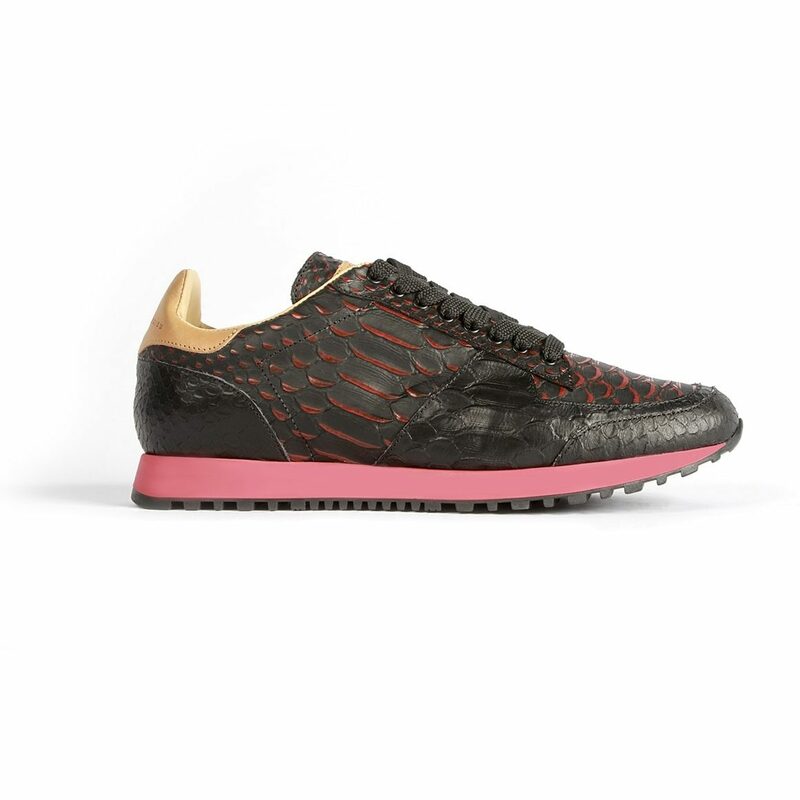 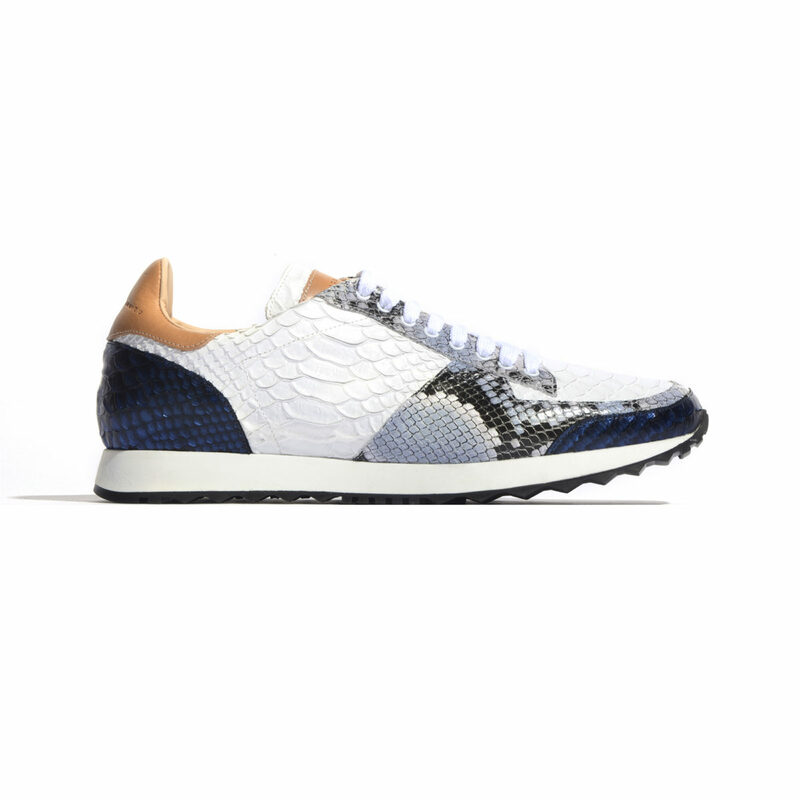 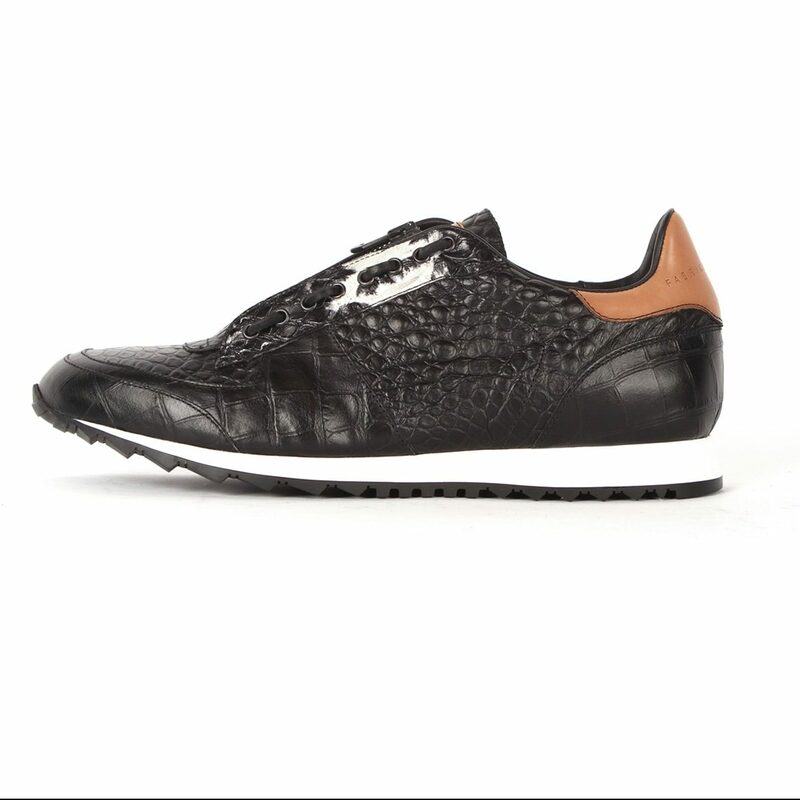 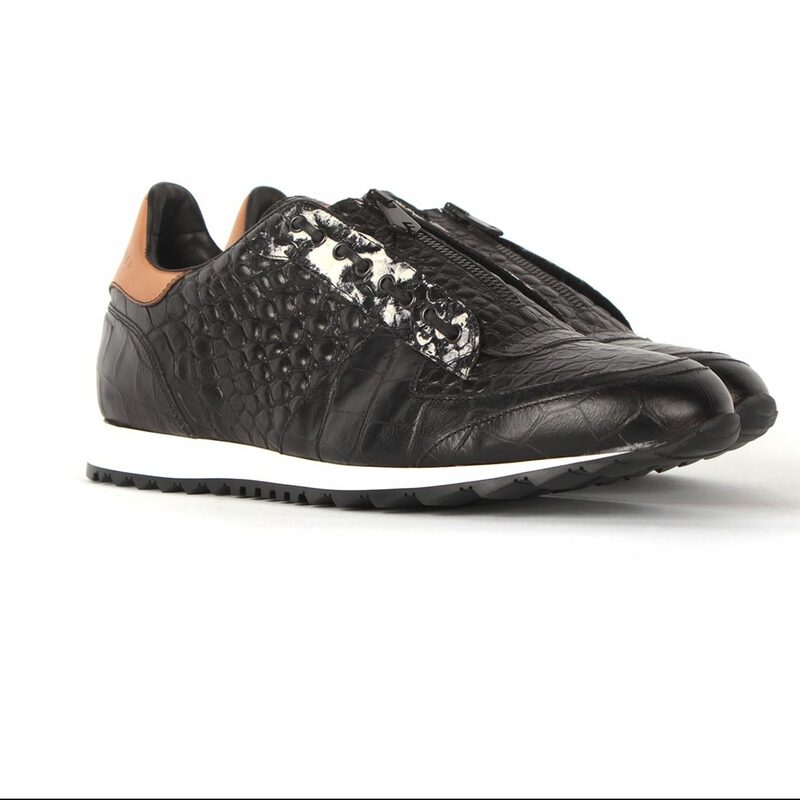 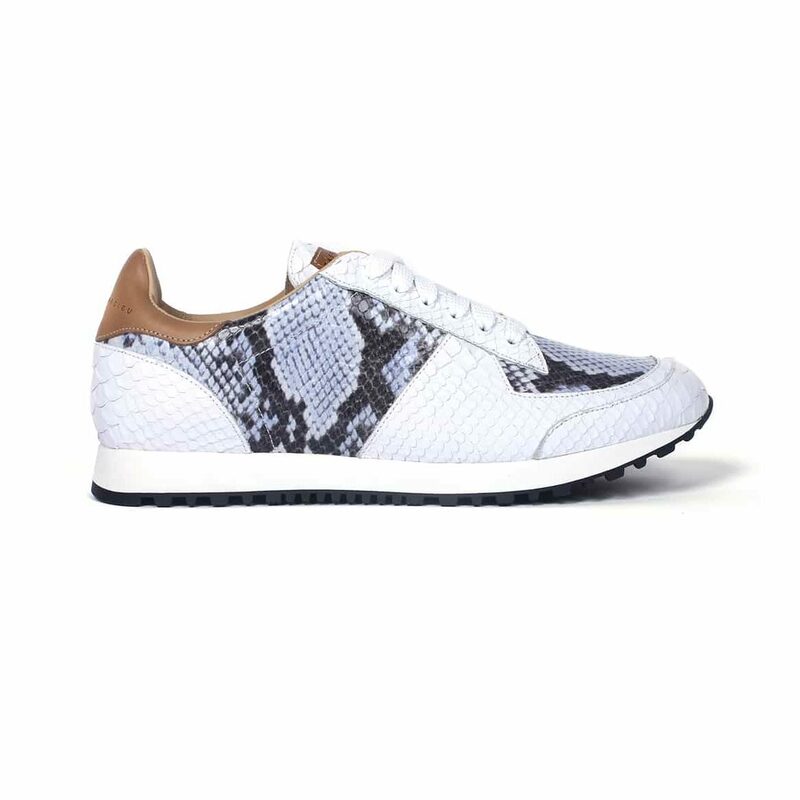 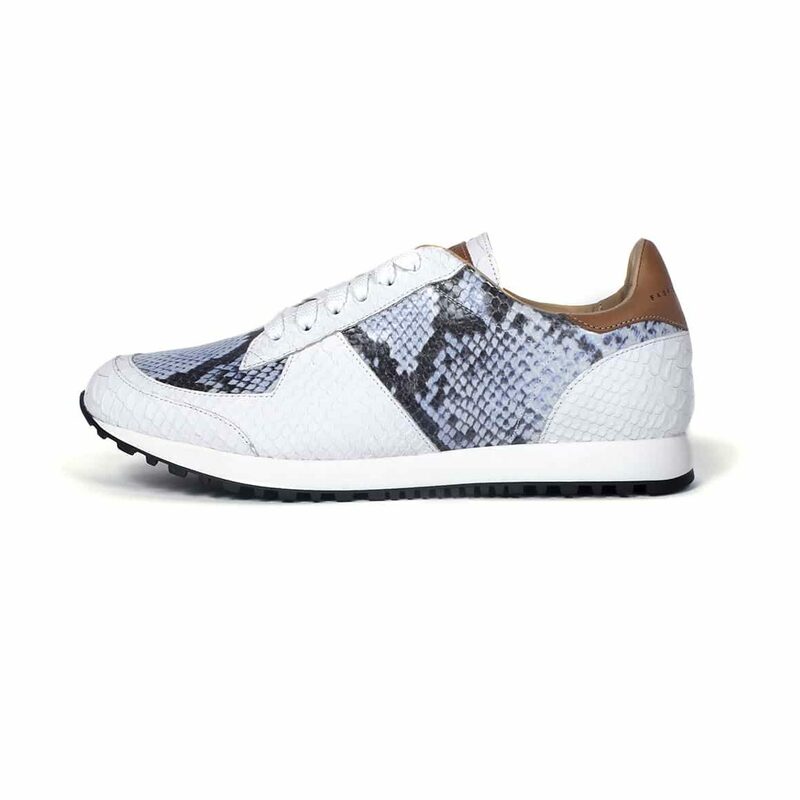 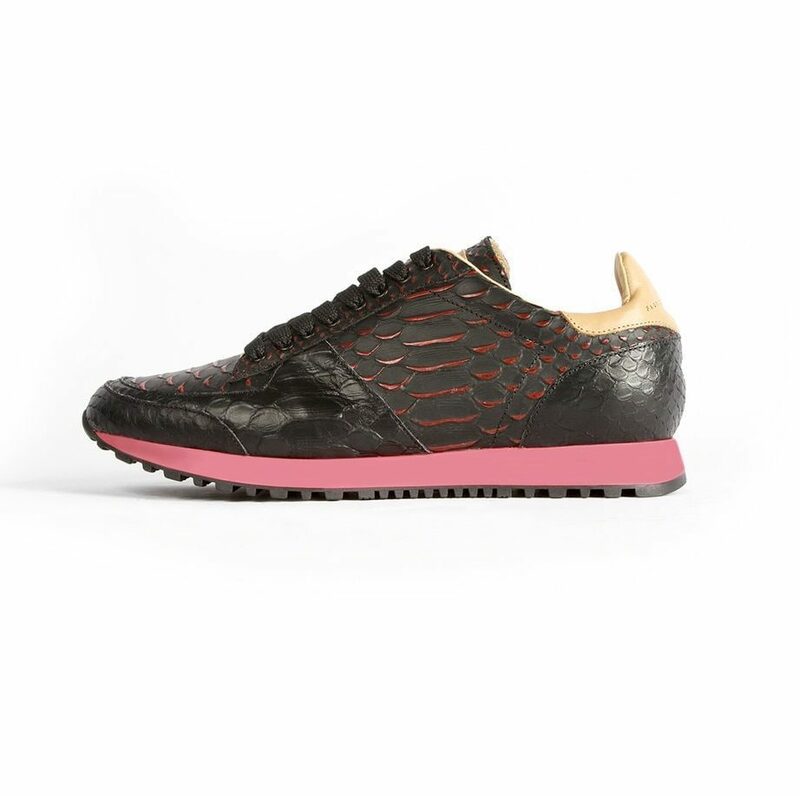 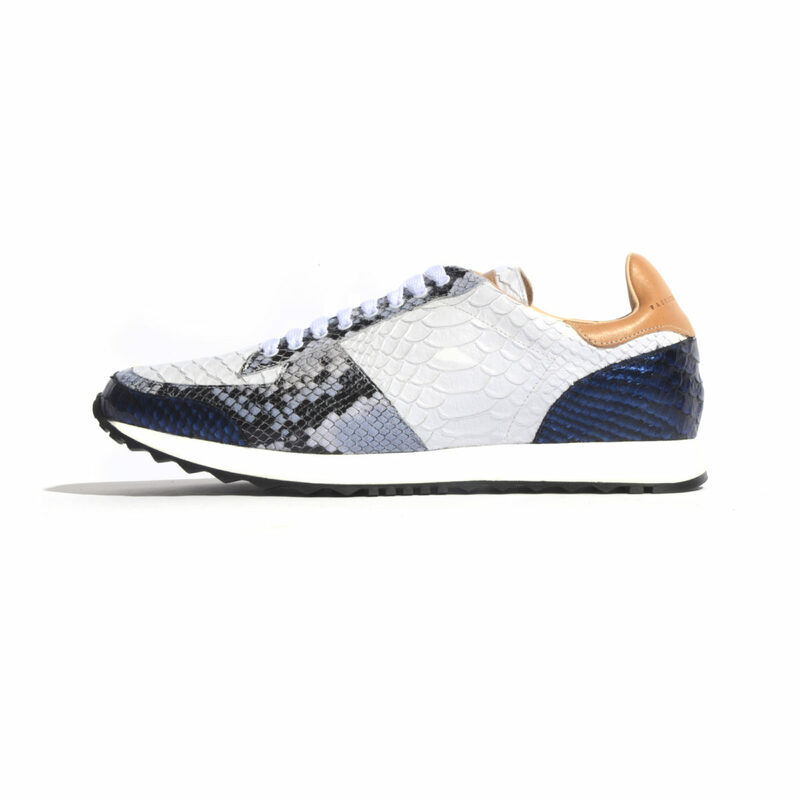 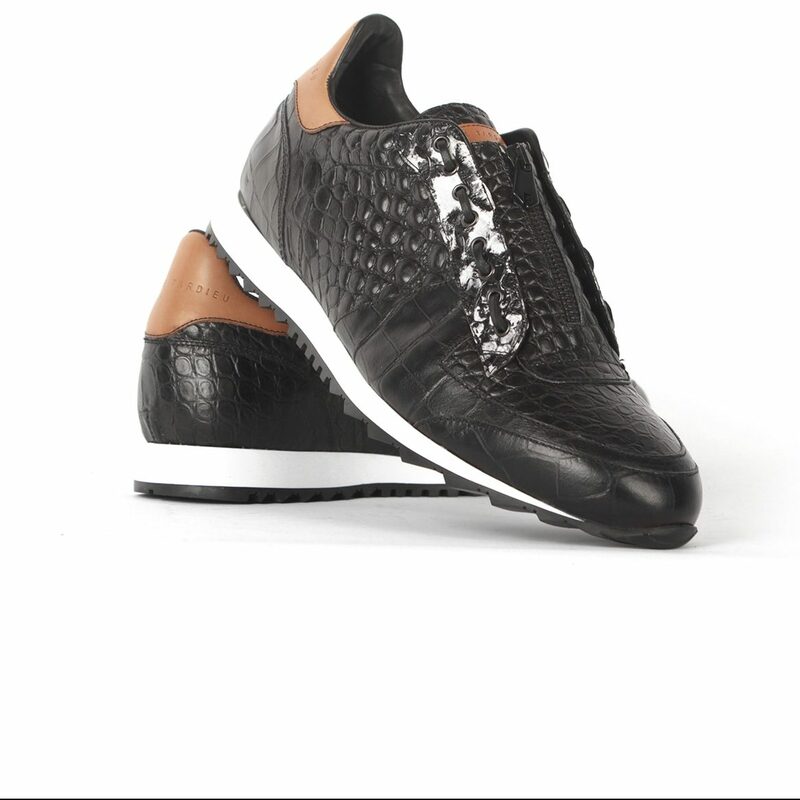 Running sneaker featuring two-tone black and white rubber sole, laminated high gloss black crocodile embossed leather upper, contrasting leather back collar and tongue band with embossed logo detail, leather laced eyelets with zippered tongue, round toe, superior comfort cushioned footbed, padded collar and tongue. 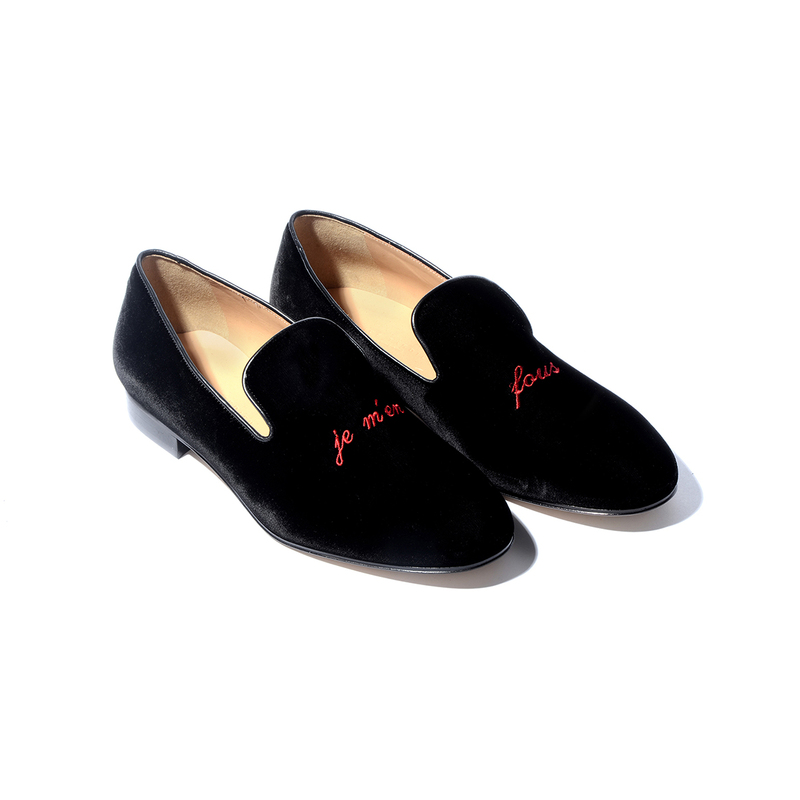 This product is FINAL SALE. 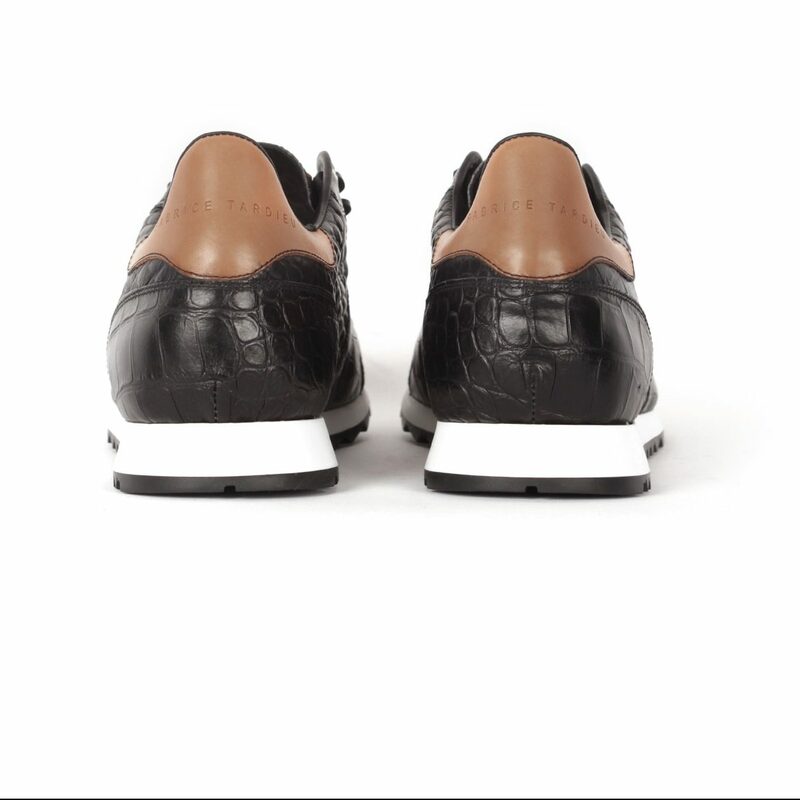 A leader in luxury men’s shoes, Fabrice Tardieu Presents HUGO 22 BLACK WHITE SOLE. 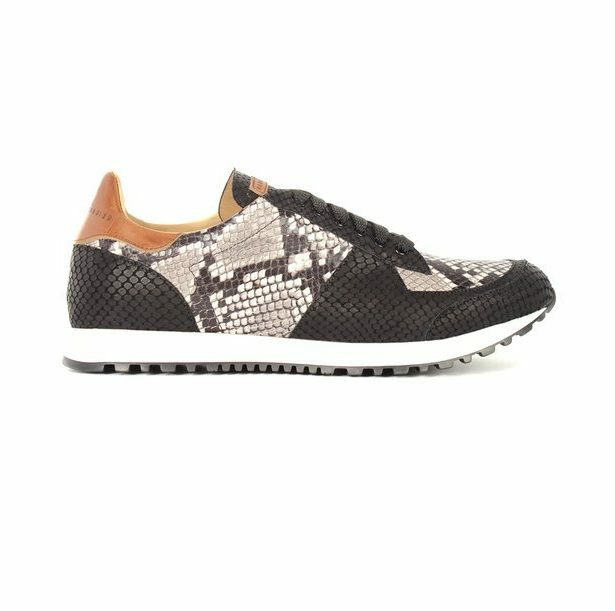 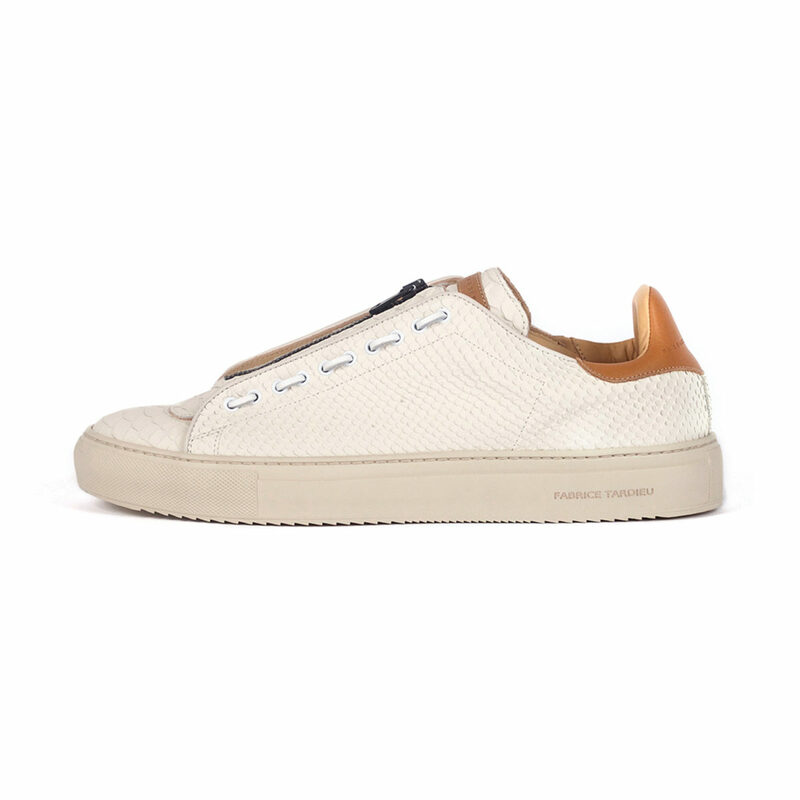 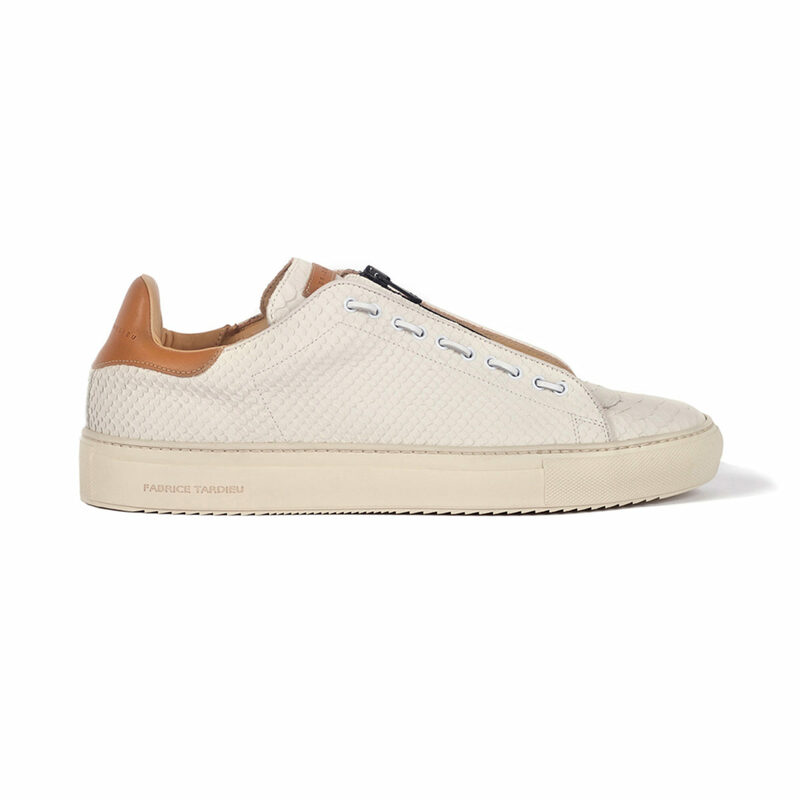 Meticulously handcrafted in Italy, this booty sneaker is made with the finest Italian leather. 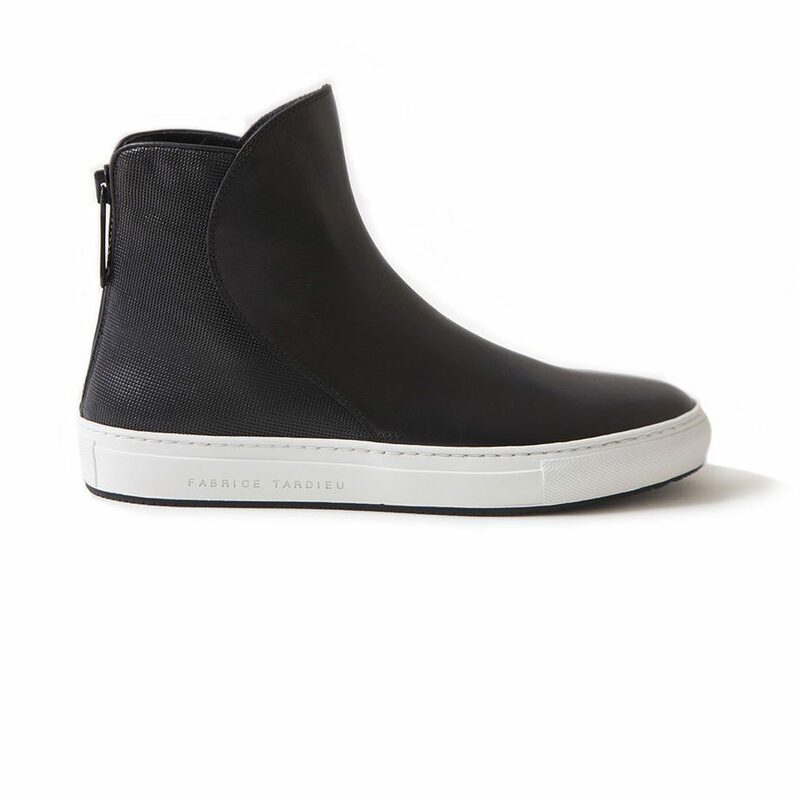 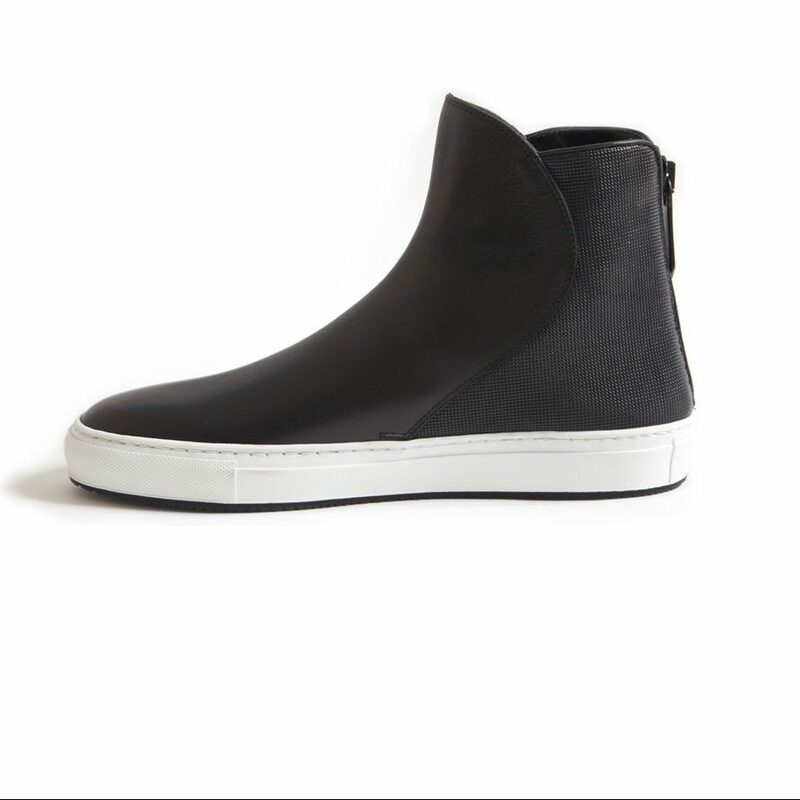 It features a mat black zipper on the back and is mounted on a white and black rubber sole. 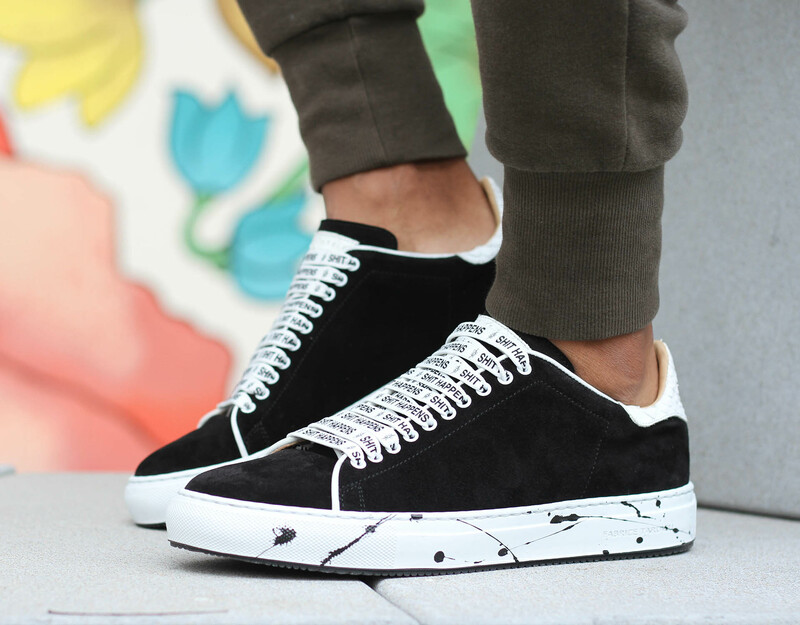 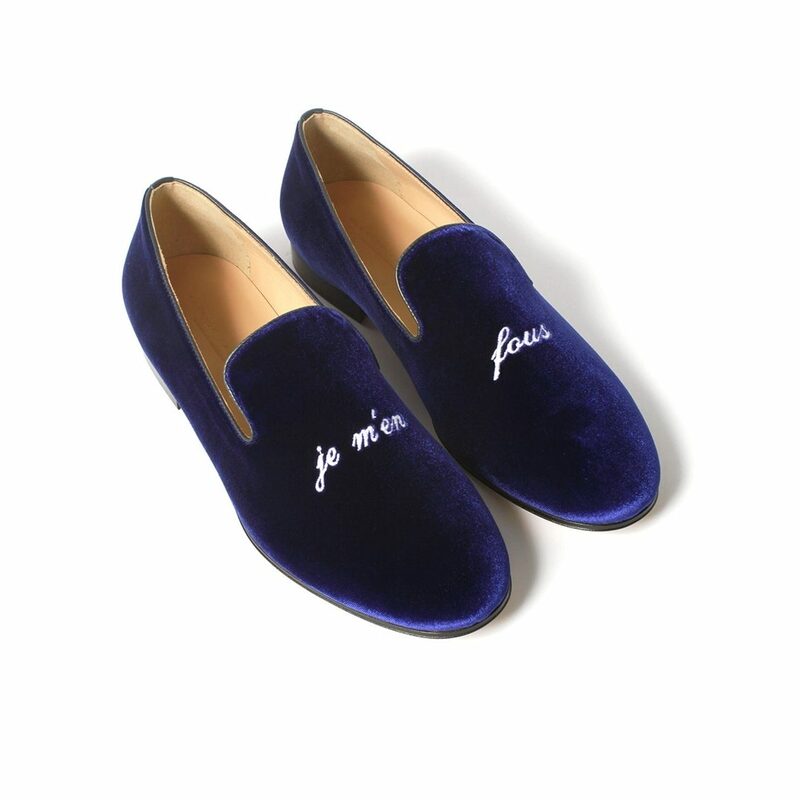 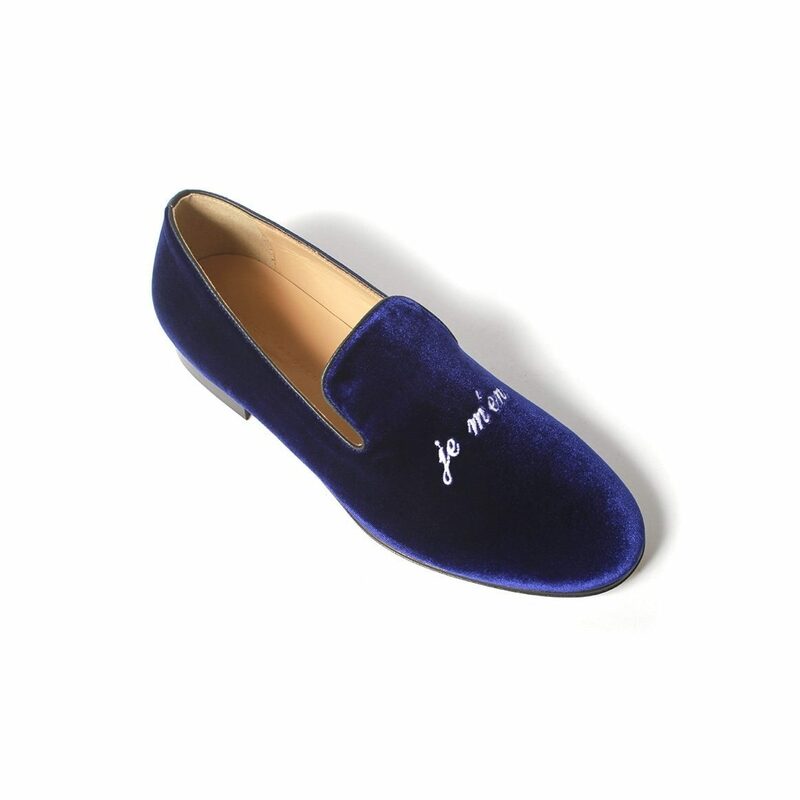 Each shoe features our signature logo as our seal of approval and a mark of quality.